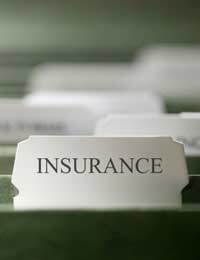 It’s essential that all businesses have insurance policies, to cover various situations, such as damage, theft or loss of equipment, damage to a shop or workplace, or to protect your business from claims by employees. Here’s a guide to the insurance options available and why they’re so important for your gardening business. There are some types of insurance policies that all businesses are legally required to have, such as employers’ liability if you have staff. It’s also a good idea to have insurance on your business property in case of unexpected situations, such as flooding, fire or theft, which could have a very damaging effect on your business. Plus, when you’re running a practical gardening or landscape design business, having tools, equipment and transport insured is highly recommended, in case of any problems. In addition, there are also other forms of insurance that could be useful, depending on the nature of your business. There are some forms of business insurance that you’re legally required to have. One that most employers need is employers’ liability compulsory insurance, which serves the purpose of protecting your business from any claims made against it by employees. This is usually when accidents or any illness occurs as a result of working for you or on your business premises. If you’re running a limited company, the only people working for you are close family members, or you don’t have any employees, then you don’t need to have employer’s liability insurance. If your business involves using any vehicles on the road, then you have to have third-party motor insurance. This offers cover for personal injury, or damage to property. If employees are using their own cars whilst working for you, then you need to ensure insurance is extended to cover business use. There are a variety of other business insurance products that you may wish to consider, depending on your particular gardening business and the services you offer. Fire, flooding and damage insurance, which will offer cover to unexpected damage caused to your business premises or stock. Insurance for loss of profits or business interruption insurance. This offers a form of cover for times when your business in interrupted or disrupted and you end up losing profits. Business interruption policies normally only cover circumstances where the interruption comes from damage to your premises, which effects your ability to operate as normal. Insurance against theft. This product helps offer protection in case your premises are burgled and stock or essential gardening equipment is stolen. Professional indemnity insurance. This is advisable if you’re selling advise, such as if you’re writing gardening books or offering services as an expert gardener, as it offers cover against any claims clients make for negligent advice. Legal expenses insurance. This insurance product offers assistance towards paying any legal fees, if you’re involved in a dispute. It also offers cover for if you ever need to do jury service and can’t work as normal. Public liability insurance. This is essential if you’re running a shop selling gardening products or plants, where members of the public are going to be. It offers cover for any accidents or injuries caused whilst they’re on your premises. Product liability insurance. Similar to public liability insurance, this covers you for risks that occur as a result of any garden products you’re selling. A wide range of companies in the UK offer the different types of insurance policies. If you’re unsure exactly what you’re looking for and how much you should expect to pay, then using the services of an independent insurance broker is worthwhile. They will be familiar with the various different products on offer, what they typically cost and any risks or clauses involved with each. They’ll also be in a great position to be able to help you get the best deal. Generally brokers make their money by obtaining a payment from the insurance company that they recommend to you, but some may sometimes charge a small fee up front to you. When you’re finding and choosing the right insurance for your gardening business, don’t forget to carefully go through all the terms and conditions before you commit to a particular product. In particular, you need to be clear about exactly what cover it provides and what you can make claims for should a problem arise. Once you’re certain you, or your insurance broker, has found the right policy, then it’s time to apply for it. Have small gardening buisiness cutting lawns,hedges,fencing.what would be best insurance? I'm afraid this is a difficult question to advise on as it depends what you want to insure for. If you do an online search there are companies that specialise in arranging insurance for landscapers and grounds maintenance contractors. @LennyB - The main policies you should be looking for include; employers liability insurance, commercial van insurance , public liability insurance and professional indemnity insurance or even accident, sickness and unemployment insurance. Therefore, as specified in the article, using the services of an independent insurance broker is worthwhile. They will be familiar with the various different products on offer, what they typically cost and any risks or clauses involved with each. They’ll also be in a great position to be able to help you get the best deal. I will be doing basic garden maintenance, cutting lawns, trimming hedges etc and will carry off the garden waste to the local tip. Which insurance would I need to get started? I only do very basic gardening work. in case I get hurt or damage something at the customer's place which insurance will I need?